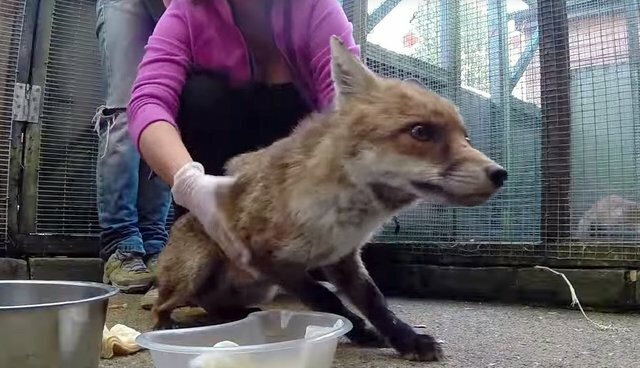 Simon and volunteer Hannah went out to rescue a fox which had been contained in a shed. The kind man who contacted us said that the fox seemed to have been victim of a road traffic accident (RTA). He had a few small wounds and scrapes on his sides, but a more serious wound on his tail. Simon carefully caught him and brought him back to the center to treat him, because the tail had to be amputated. He recovered well and after a few weeks was released back where he was found, without a tail but in top shape!